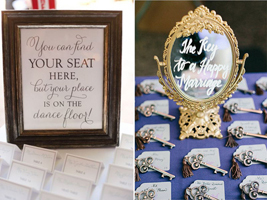 How to Seat Your Wedding Reception Guests! At first, seating your guests may seem like a quick and simple task, but don’t be fooled as this can be one of the most frustrating parts of planning. With that being said, start early, this may be a longer process than you expect. You don’t want to be stressing over this the night before the big day, you have more important things to worry about then. One way to make it easier on you from the beginning is to create a spreadsheet. This way you have all the information you need in front of you. 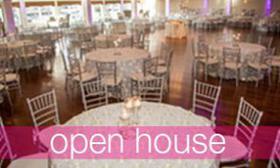 Add a Column to the RSVP list that explains the relationship of that attendee. Knowing the relationship to the bride, groom or other guests will make it easier for you when deciding on where to seat them. If you are more of a visual person, draw it out. 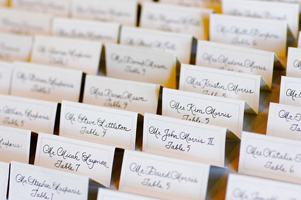 Get a large piece of paper and outline your venue and tables, labeling out where, and with whom everyone will be seated with. When it comes to the actual table set up, get creative. 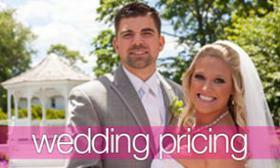 Do not feel trapped by the traditional wedding set up of a large head table facing the guests. Try having a separate table for just you and your newlywed—this is what we call a sweetheart table. This way throughout the hectic day you can still have some time to enjoy each other, after all this is your day. Another great idea is to seat friends from college, high school, and childhood together creating a great chance for people to catch up who may not have seen each other in a while. Try to avoid creating a table of complete strangers or an all singles table, this usually leads to awkward conversations and unhappy guests. 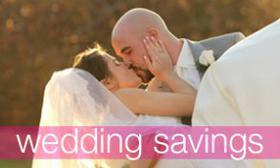 Instead mix in singles with couples they know throughout the seating arrangement. If you must create a table of strangers try adding fun icebreaker games at the tables that have to do with you and your fiancé. A game like “Who knows the bride or groom best” would be a fun way to help strangers socialize and feel more comfortable. Another important aspect to consider is the dance floor and music volume. Seat the younger people or the people you foresee dancing more, closer to the music and dance floor and reserve the quieter tables for the older crowd. 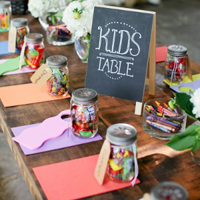 If you have a lot of children attending consider making a kids table with some kid friendly activities (crayons and paper etc.) to keep them entertained throughout the night. Although seating guests at your wedding may seem like a daunting task, just remember to start early and follow these simple tips and everyone will have a wonderful time!